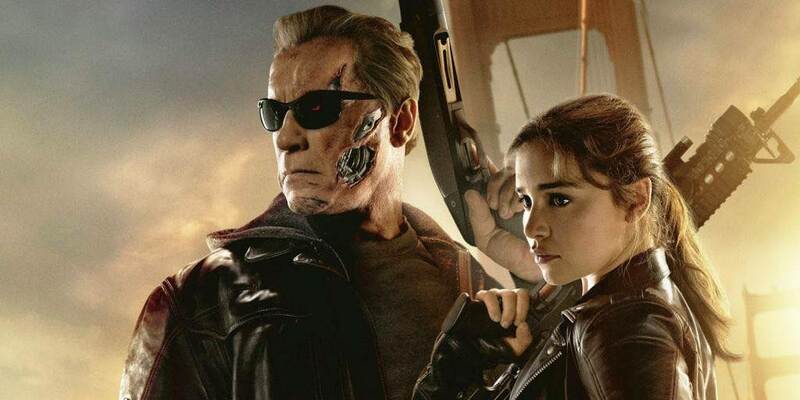 Terminator Genisys Sequel Has Been Terminated | Nerd Much? According to The Wrap, the sequel to Terminator Genisys has been removed from Paramount Picture’s release schedule. It was originally to come out June 29, 2018, however Paramount has provided no further information on why or if the sequel will be delayed instead. Hopefully during Paramount’s CinemaCon panel, we’ll hear more. Terminator Genisys, which stared Jai Courtney, Emila Clarke, and Arnold Schwarzenegger, grossed $440.5 million worldwide, taking the spot of second highest in the Terminator franchise. As such, a sequel was expected and logical, despite the film’s poor reception among critics and fans. Usually it’s the money that talks more than the reception (see Suicide Squad and Transformers), so it seems unlikely that this is the reason Paramount terminated the sequel. Seriously, why has no one made that pun yet? Another explanation could be that the sequel was to release around the same time as Marvel’s as yet untitled 2018 project. The original date would have had the films competing at the box office, not always a good plan if you think your film isn’t the best. Even if Marvel’s movie is somehow as bad as Ghost Rider staring Nicholas Cage, it will probably blow a lacklustre Terminator sequel out of the water. Were you hoping to see a sequel to Genisys? Are you glad Paramount terminated the idea? Let us know your thoughts in the comments below!